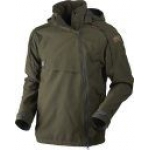 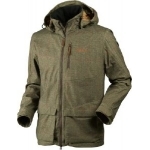 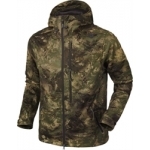 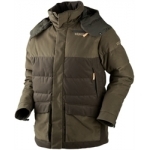 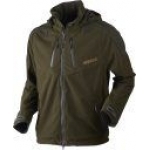 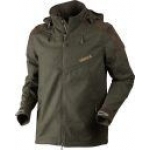 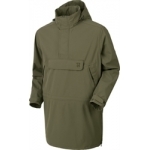 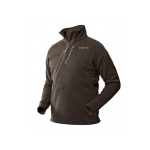 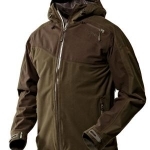 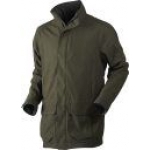 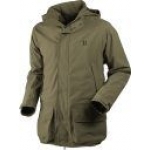 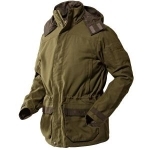 Main fabric: 80% Wool / 20% Polyamide, Felted Wool, Bionic Finish Lining: 100% Polyester, Bushed Tricot Padding: 100% Polyester, 120g Technologies: PRIMALOFT Features: Detachable hood Radio Pock.. 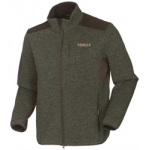 Style: 100112244 Colour: Shadow brown Size: 36 – 46 Main fabric: 100% Polyester, Brushed Tricot, DWR Lining: 100% Polyester, Brushed Tricot Padding: Duck Down Technologies: WINDSTOPPER® 2-layer Shell Features: �..
Material: 100% Polyester, Brushed Tricot, DWR Lining: 100% Polyester, Fine Mesh Technologies: *HWS® 2-layer Features: Integrated adjustable hood Double radio pockets with rubber aerial ports Side zipped pockets Ventila..
Harkila Pro Hunter X Lady Jacket Harkila Pro Hunter X Lady Jacket is the Classic Ladies Gore-Tex® women's shooting jacket ideal for outdoor living. 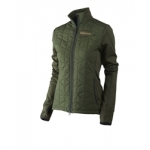 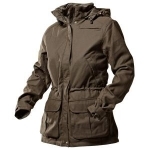 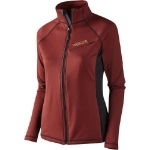 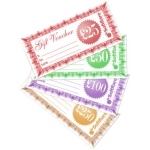 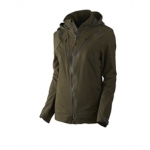 It offers all the fundamental features you would expect from a ladies technical jac.. Stylish jacket for a classic look combined with all the benefits of the latest in garment technology. 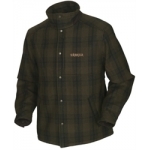 The jacket has classic detailing and the lining is in Härkila’s traditional yellow check. 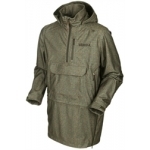 It has been DWR-treated for water repellency, and is..
Main fabric: 100% Polyester, Brushed Tricot, DWR Lining: 100% Polyester, Fine Mesh Technologies: *HWS 2 Layer Features: Detachable hood Double radio zipped pockets with rubber aerial ports Side ..
Harkila Vector Jacket Harkila Vector Jacket is the latest addition to Harkila's range of ultra light outer shell stalking jackets. 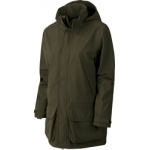 Made from a truly lightweight construction with the soft outer material being laminated to the Gore-Tex membrane, th..
Material: 100% Polyester, Brushed Tricot, DWR Lining: 100% Polyester, Brushed Tricot Padding: Duck Down Technologies: GORE-TEX INFINIUM™ WINDSTOPPER® 2-layer Features Detachable ho..
Main Fabric: 100% Polyester, Tiny Ribstop, DWR Padding: 100% Polyester,140g Technologies: PRIMALOFT Features: Reversible Radio pocket on the left side chest (Both sides) Side zipped pockets Elasticated ..
Harkila Vector Trousers Harkila Vector Trousers are the latest in lightweight outer shells that will keep you warm and dry whatever the weather. 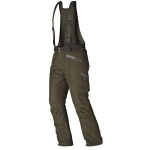 Made with 2-layer Gore-Tex, these great trousers have been specifically designed fo..
Material: 100% Polyester, Brushed Tricot, DWR Lining: 100% Polyester, Fine Mesh Technologies: GORE-TEX 2-layer Features Detachable adjustable hood Grip tape on shoulders Radio po.. 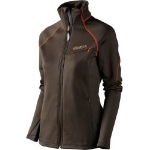 Style and Colour: 130109219 Burnt Orange 130109244 Shadow brown Size: S – 3XL Main fabric: 88% Polyester / 12% Spandex, Power Stretch fleece Features: • Radio pocket on left side • Side zip pockets • Thumb h..
Main Fabric: 50 % Wool / 50% Polyester, Felted Wool, Bionic finish Lining: 100% Polyester, Fine Mesh Features: Detachable hood Radio Pocket on both sides Waterproof micro suede reinforcements Adjustable bot..
Harkila Pro Hunter X Jacket Harkila Pro Hunter X Jacket is the best all round mens shooting jacket that has been specifically developed for the game shooting man. 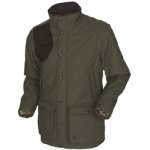 New for 2013. 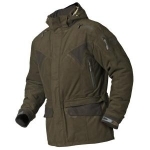 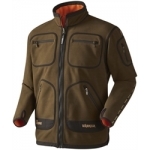 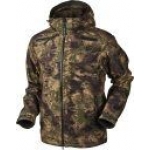 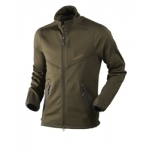 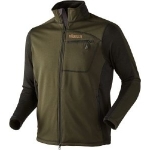 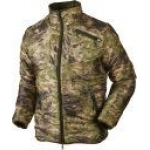 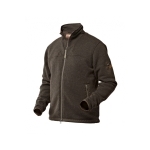 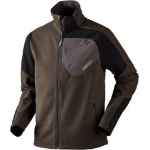 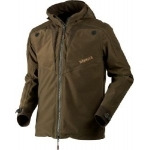 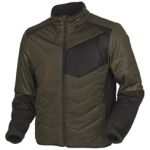 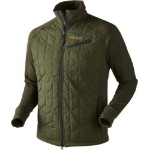 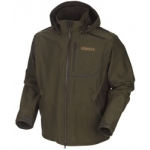 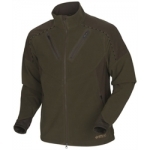 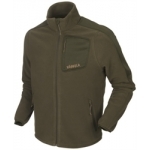 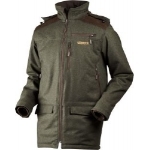 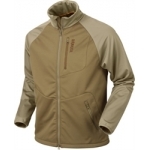 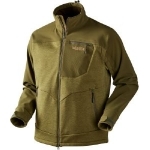 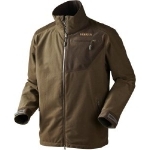 Harkila have taken their flagship Pro Hunter jacket and..
Material: 100% Polyester, Softshell full stretch, DWR Features Integrated hood Radio pocket with rubber aerial port Side zip pockets and extra storage pocket Adjustable hood, sleeves and bottom h..
Fleece jacket with Hybrid System, which is comfortable even at high-intensity activity. 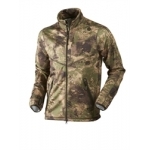 ArcStretch fabric of different weights is in the side panels, sleeves and body. 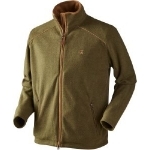 Main fabric: 94% Polyester/ 6% Elastane, Fleece ..
Material: 84% Polyester/16% Spandex, Power Stretch fleece Technologies: Polartec® Power Stretch Features High collar Zipped pocket left side chest Lighter weight panels at sides and under ar..
Main Fabric: 100% Polyester Brushed Tricot, DWR Lining: 100% Polyester, ine Mesh Technologies: GORE-TEX 2 layer shell Features: Stow away hood Radio pocket on both sides Ventilation under arms Adjustable bottom and slee..
Harkila Pro Hunter X Trousers Harkila Pro Hunter X Trousers are the first choice of practical shooting trousers for men who are looking for a tough durable trouser that is fully waterproof and windproof and very comfortable to wear ..
Material: 100% Polyester, Softshell full stretch, DWR Features Integrated hood Radio pocket with rubber aerial port Side zip pockets and extra storage pocket Adjustable hood, sleeves and bottom hem ..
Main fabric: 94% Polyester/ 6% Elastane, Fleece Features: Lighter weight panels at sides and under arms for comfort optimizing High collar 2 way zip centre front Zipped radio pocket left side chest Side zipped po..
Material: 100% Polyester, Fleece Technologies: Polartec® 200 Series Features Storm placket center front Zipped chest pocket Zipped side pockets Easy open string pullers Green ..
Material: 100% Polyamide, Heavy Canvas, DWR Lining: 100% Polyester, Woodland Liner, Brushed knit Technologies: GORE-TEX 2-layer lining Features Detachable hood Radio pocket on left side c.. 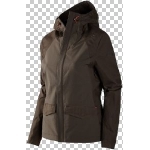 Style: 130109344 Colour: Shadow brown Size: S- XXL Main fabric: 85% Polyester / 12% Spandex Technologies: Polatec® Power Stretch Features: • High collar • Side zip pockets ..
Material: 100% Polyester, Full stretch peached canvas, Peached, DWR Lining: 100% Polyester, Fine Mesh Technologies: HWS® 2-layer Features Packable hood Handwarmer pockets with quick load..
Fleece jacket in a Polartec® Thermal Pro® fabric with classic detailing. 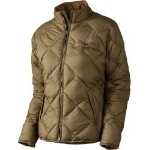 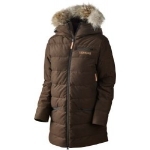 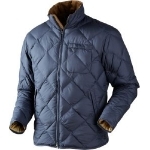 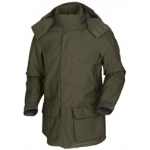 High collar and wind-resistant lining on the body. 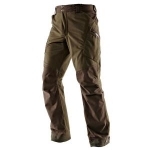 Stretch lining in the sleeves and zipped pockets. Features: High collar Faux suede detailing 2-way..
Material: 50% Wool/50% Polyester, Felted Wool Lining: 58% Polyester/ 42% Acrylic, Sherpa Fleece Padding: 100g Active Insulation Technologies: HD WOOL® Features High collar P..
Main fabric: 60% Wool/ 40% Polyester, Durable Wool knit Lining: 100% Polyester, Warp jersey Features: Radio pockets on both sides 2 way zip beneath front placket Reinforced elbows Bottom hem adjuster placed inside front poc..
Material: 100% Polyester, Stretchable fleece Technologies: HPS™ 3-layer Features: Reversible Double radio zip pockets Rubber aerial ports Thumb holes Adjustable bottom hem ..
Material: 100% Polyester, Printed Tweed, DWR Lining: 100% Polyester, Printed Taffeta Technologies: HWS® 2-layer Features Integrated adjustable hood Large binocular pocket with drainholes..
Main Fabric: 100% Polyester, Brushed Tricot, DWR Lining: 100% Polyester, Fine Mesh Technologies: GORE-TEX 2 layer Features: Detachable Hood Double radio pocket Sleeve zip pocket, upper left arm 2 way zi..
Material: 95% Polyester/5% Spandex, Fleece Lining: 100% Polyester, Tiny Features: 2-way zip center front Radio pocket on left side with rubber aerial port Side zip pockets Rubber tape around pocket zips Elasticated thum..
High neck Reversed full zip centre front Sleeve pocket with reversed zip Side pockets with reversed zips Elasticated cuff 64% wool, 20% polyester and 16% polymide Shadow Brown melange, Willow Green melange, Da..
Main Fabric: 100% Polyester,Brushed Tricot, DWR Lining: 100% Polyester, Brushed Tricot Padding: 100% Polyester,120g Technologies: * HWS dropliner, PRIMALOFT Features: Radio Pocket on left side chest with a.. 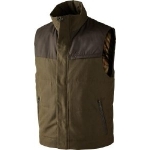 Style: 100112716 Colour: Hunting Green / Shadow brown Size: C46 – C58 Main Fabric: 100% Polyester, Brushed Tricot, DWR Lining: 100% Polyester, Fine Mesh Technologies: GORE-TEX® 2 layer shell Features: • Radio Pocke..
Material: 95% Polyester/5% Spandex, Fleece Lining: 100% Polyester, Tricot Features: 2-way zip center front Radio pocket on left side with rubber aerial port Side zip pockets Rubber tape around pocket zips Elasticated th..
Main fabric: 100% Polyester, Printed tweed, DWR Lining: 100% Polyester, Checked Taffeta Technologies: Waterproof Features: High collar Vertical radio pocket left side with aerial hole on shoulder Large front patch pockets w..